Home / Men / Mens Thick and Thin Nylon Socks, per doz. 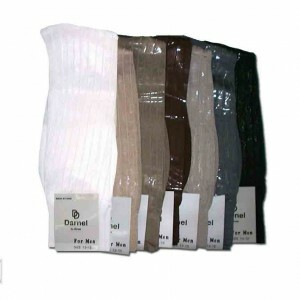 Mens Thick and Thin Nylon Socks, per doz. Mens Thick and Thin Nylon Socks not too thick, not too thin, the just right fit. Large color selection and always comfortable. On all US orders for a limited time! On your second dozen any style! Category: Men, Men's Dress Socks. Tags: Dress Socks, Exceptional looks, exceptional VALUE!!! Ultra Sheer Pantyhose! 100% Nylon, Formal socks, Nylon, Variety of colors. Not too thick, not too thin, the just right fit. Large color selection and always comfortable. 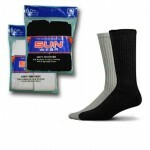 Mens thick and thin nylon socks product details. Fashion Neon Socks, per doz. Womens knee highs by LDS, per doz. Follow us on our social-media! If you're like me, you have a sock drawer somewhere in your house. I had black socks, white socks, blue socks, and a few socks with patterns. I even had a pair of red socks that an Aunt of mine bought me for Christmas one year. © 2014 All Rights Reserved. Cimetta Design.